Monday, Monday! This one is for the books. After a wild weekend—did you go to one of the thousands of March for Our Lives events? I’ve shared a few photos from the local march we attended over on my personal blog—comes the exciting news that the adaptation of A.J. Finn’s massive best seller is going forward with Joe Wright directing. I’m one of those people who love it when a book I like gets optioned by Hollywood, but when a talent like Wright—Darkest Hour, Atonement, Ana Karenina—signs on to direct with Pulitzer Prize winning Tracy Letts (August: Osage County) writing the script, I get downright giddy. Even the producers—who can kibosh the end results with their big fat thumbs—give me hope that this adaptation will be an exciting retelling of the book. Not that it will be an exact reiteration, what would be the point of that? Can you see Timothee Chalamet as Ethan? Have you read the novel yet? 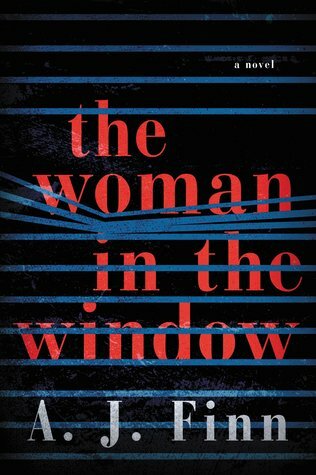 Please hurry so we can play the casting game!I’ve already pegged Timothee Chalamet as Ethan, and my twitter friend +Irene Acton has suggested Anna Friel to play the reclusive Dr. Anna Fox, the actual Woman in the Window who has become a complete agoraphobe, never leaving her home but instead watching the world and spying on her neighbors from behind the glass. The only question is when does production actually begin. The in demand Wright may be tackling the screen adaptation of John Williams’ Stoner—we bought the book for my son for his birthday, I’ll have to borrow it. If so, it’s not clear which adaptation would come first. What do you think? Are you as pumped as I am for this adaptation? Have you read the book?